Blue Bird of Paradise hanging on the tree. 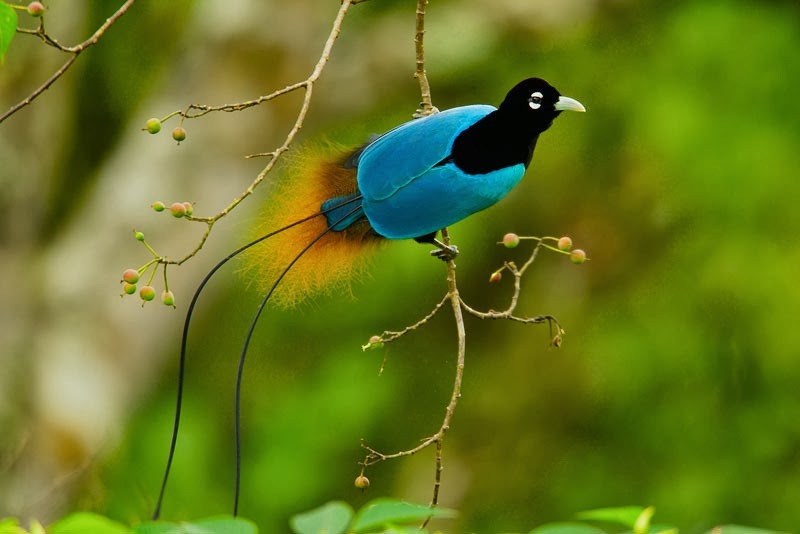 Bird-of-Paradise consists of many types of birds and all of them are stunningly beautiful. 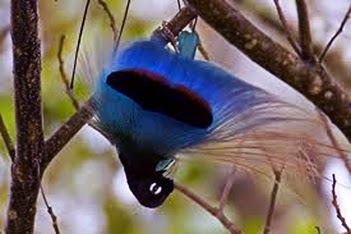 The Blue Bird of Paradise is one of the species that have eyes catching properties in many ways. Perhaps one of the most profound factors is the tails. Blue bird-of-paradise living in the same continent where all others bird-of-paradise can be found in the deep forest of Papua New Guinea. This remote island is the only home of these miraculous species where they can’t ever be found in somewhere else. There’re rumors in surrounding islands about these birds. Taking them as mythical creatures with superstitious power of healing or story such as, they even didn't ever touch the ground. While some travelers might had caught them and bring it home, but they never told their folks of the original stories. 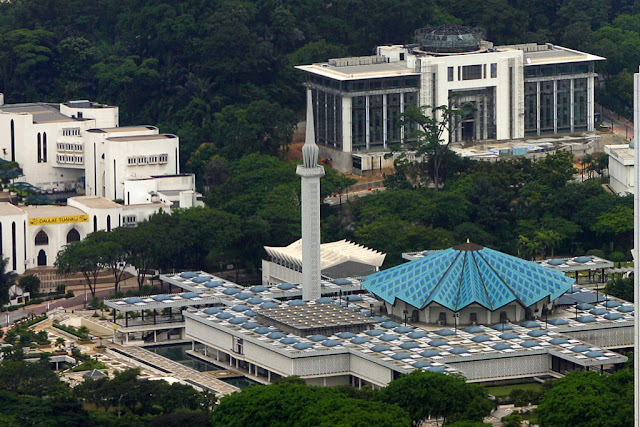 In fact they use it to gain something from the peoples. Well, I hope the myths should be gone now. Back to our blue bird plumage are pretty much likes the peacock with the properties of ‘optical interference Bragg reflection’. You can see the color changes depend on the light hit the feathers, but the main color is still looks blue. There also black color that dominant in their features and yellowish brown fluffy feathers in its tails. These characteristics are rare in other species that we can find in any other places that make it really ‘out of this world’. They also not a migrating type – so we can only see it in their homeland (don’t let the birds’ trafficker get the ideas). Blue bird of paradise getting ready for the mating calls. The beautiful plumage used in spectacular dance for the mating calls. All types of bird-of-paradise have their own specials dance ritual for their mating calls. While for the blue bird they are not going just to show their plumage but also dance and sings – yes, they’re irresistible unless there’s other competence males around. We should take a look at more of bird-of- paradise in later articles. To see more of them is only by conserve their territories from human invasion. Sure beautiful things are better let untouched.